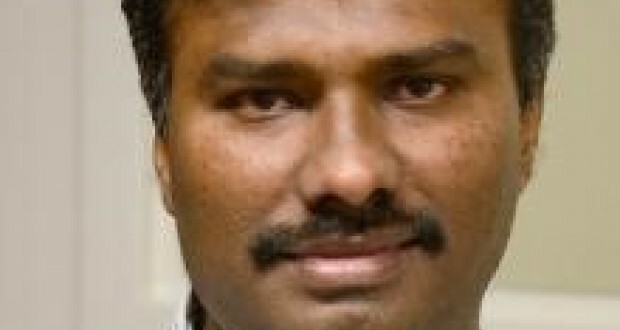 Indian Jesuit Fr Alexis Prem Kumar SJ has been released by the Taliban after eight months in captivity. Fr Prem had worked for three years as Afghanistan country director for Jesuit Refugee Service in Herat province when he was abducted by gunmen in June last year. The release of Fr Prem was negotiated by Indian Prime Minister Narendra Modi, who announced the news via Twitter on February 22, saying he was “delighted" at Fr Prem Kumar's release. Modi personally called Fr Prem's father A S M Antony, a retired school teacher, who said “The Prime Minister spoke to me to inform me about my son's release from captivity. We have been waiting for this day. I must thank the Prime Minister for his personal efforts." Antony and two other family members travelled to Delhi to receive Fr Alexis, along with Fr Joseph Xavier SJ of Madurai province in South East India. JRS responded to the news with relief and gratitude. "The last eight months have been a long and difficult period of uncertainty for Fr Prem's family, friends and colleagues. You cannot imagine our relief that he is now home, safe and sound," said Fr Peter Balleis SJ, JRS International Director in a press release issued by JRS on February 22. “We are aware of the tireless efforts at many levels to achieve his release and we are grateful for the consolation we have received from the prayerful support of countless friends – including those of the school children from the school where he was kidnapped." Fr Prem Kumar had been visiting children of Afghans who had returned to the country after being refugees in Iran or Pakistan. Despite his abduction, JRS said they continued their programmes in Afghanistan “in order to ensure that Afghan students had continued access to quality education". "Our role in Afghanistan has been to help displaced persons and their host communities, to offer them education and skills so they can rebuild their lives and those of their communities," said Fr Stan Fernandes SJ, JRS Regional Director in South Asia. “We were close to the Afghan people before the abduction of Fr Prem and we will continue to accompany them in any way we can." With his return home to India, Fr Prem's colleagues at JRS are now praying for his well-being. "Our attention now turns to the welfare of Fr Prem," said Fr Fernandes. “All of us will do whatever we can to ensure that Prem receives the necessary attention and support from his family, his Jesuit brothers in the Society of Jesus, and his many friends and colleagues in JRS."